A gentle product specifically designed for sensitive skin. 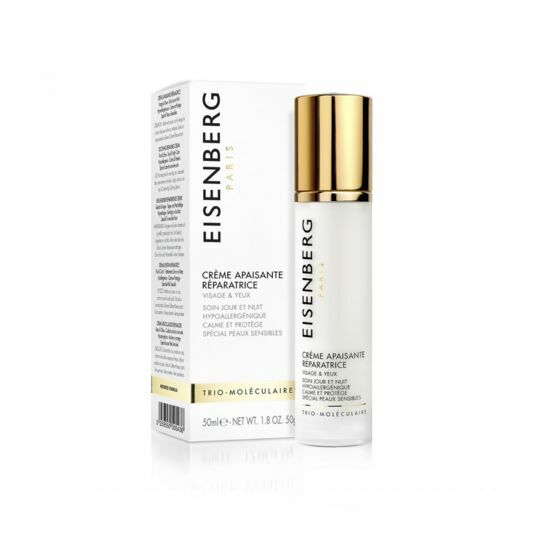 A soft, delicate cream that moisturises, protects and quickly calms, reduces redness and evens out the complexion. A gentle product specifically designed for sensitive skin. 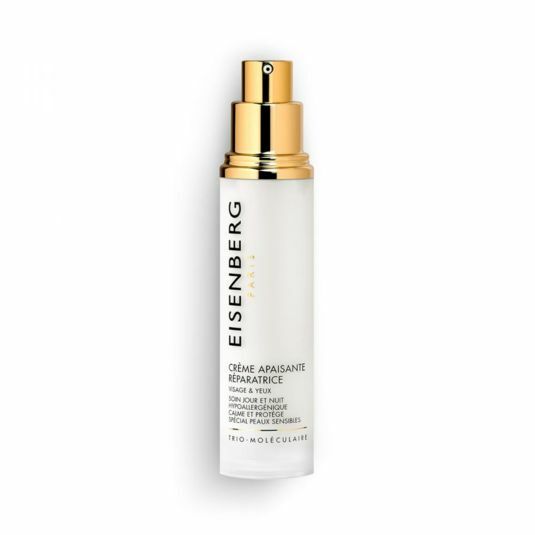 A soft, delicate cream that moisturises, protects and quickly calms, reduces redness and evens out the complexion. 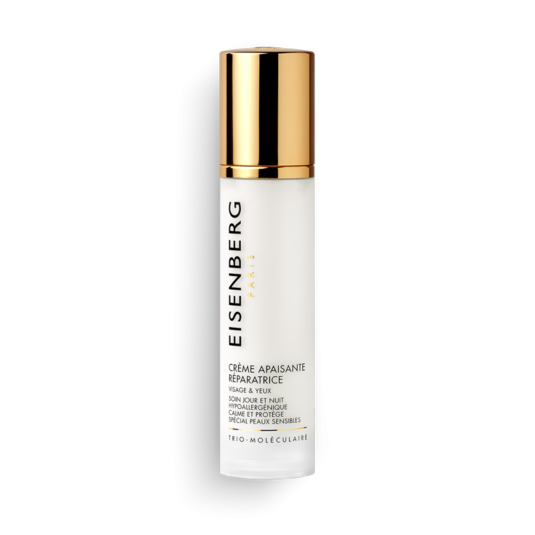 It repairs the damage caused by external aggressions thanks to the antioxidant, anti-inflammatory and DNA protecting properties of the Raspberry leaf stem cell extract. The Trio-Molecular® Formula ensures an anti-age action and visibly minimises skin roughness. A visible soothing and protecting result* from the first application! Morning and/or evening, to a cleansed face, eye contour and neck. Apply alone or on top of Comforting Calming Serum. Specifically designed for sensitive, delicate skin and skin weakened by environmental conditions such as pollution, temperature changes, heating and air conditioning. Soothes, moisturises and protects sensitive skin. Reduces redness and evens out the complexion. The Soothing Repairing Cream has been proven to have an anti-inflammatory effect. It reduces interleukin-8 synthesis to all the concentrations tested in the human fibroblasts, particularly to 0.15 mg/ml (67.1% reduction of IL-8). • Application of the product before induction of irritation made it possible to limit the increase in erythema by 62%. • Application of the product before induction of irritation made it possible to limit the increase in TEWL (transepidermal water loss) by 53%. • Application of the product before induction of irritation made it possible to limit the appearance of cutaneous redness by 50%. Conclusion: The Soothing Repairing Cream has a remarkable protective and calming capacity. • 100 % of the volunteers found that the product protected the skin from irritation and redness. • 95 % of the volunteers found that the product helped soothe redness. • 100% of the volunteers found that the product evened out the complexion and visibly reduced redness. • 90% of the volunteers found that the product reduced the appearance of dilated capillaries. • 95% of the volunteers found the product comfortable to use. • 100% of the volunteers found that the product improved cutaneous hydration and roughness. This patented hydrosoluble extract from Raspberry Leaf Stem Cells has excellent antioxidant, anti-inflammatory and DNA-protecting properties. This active ingredient is obtained by a specifically controlled extraction process which preserves the activity of all cell components. It is a mixture of proteins, sugars and antioxidant molecules found naturally in the plant’s various organs and maintained in the extract using stem cell growth technology. The Raspberry cells are particularly rich in anthocyanins with a calming effect, in small active molecules with anti-free radical properties, and in proteins with enzymes that help neutralise harmful oxidising pollutants. The Shea tree is mainly known for Shea Butter. The pulp is extracted after fermentation and cleaned, then the fruit is dried in the sun. 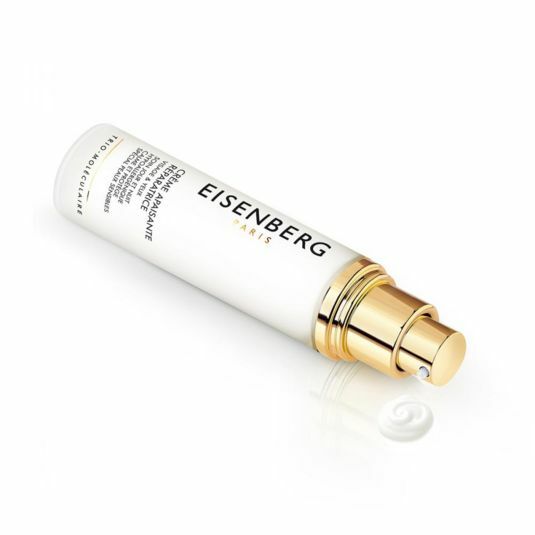 As well as its softening, moisturising and restructuring properties, this ingredient boosts cell regeneration, slowing down the skin ageing process. Jojoba Oil moisturises, regenerates, tones and softens, perfect for use after shaving. Obtained from the seeds of the Simmondsia Chinensis bush, it improves skin suppleness and elasticity.